"Enter this world and discover excitement far beyond your wildest dreams. Greyhawk is the place where adventure begins and ends..."
Become part of the oldest continuous fantasy campaign as you explore parts of Oerth never seen before. Learn about Greyhawk’s deities, heroes, monsters, arcane items, magical spells, and much, much more. 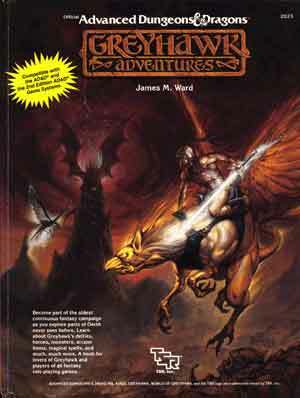 A book for lovers of Greyhawk and players of all fantasy role-playing games.